When it comes to revamping your bathroom, it is important to combine your functional requirements with your design ambitions. Investing in high-quality classic designs will ensure your bathroom lasts well into the future. Lets look at some factors you will need to consider when designing your bathroom. The size of your bathroom is obviously going to influence the items you will be able to place in it. If you only have space for a bath or a shower, you could either install a large shower or install one over the bath with the addition of a chic shower screen. 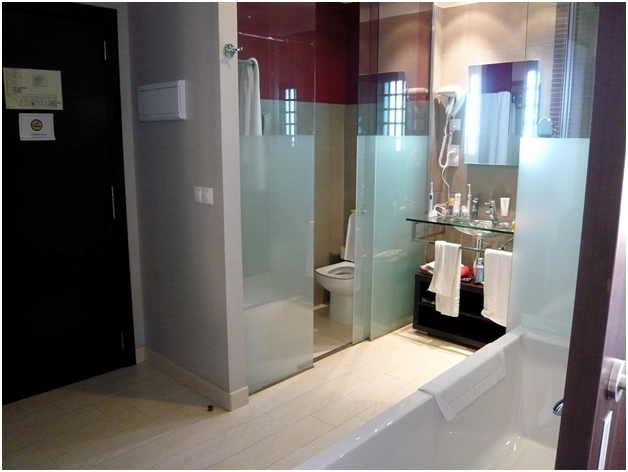 The type of shower enclosure you will have will be determined by the layout of the bathroom. A hinge or pivot shower door will require you to consider the space it will encompass when you project it outwards; for example, it can be extremely annoying if your shower door is constantly banging into your toilet! If space is limited, you could consider a sliding door for your shower. When looking at your budget, it is important to bear in mind the quality and durability of an item in addition to how often it will be used. Investing in a shower panel that is more expensive than a cheaper alternative would be wise, as its lifetime durability means it wont need to be replaced so often. 10mm shower glass panels from specialists such as https://marvinandpinch.co.uk/products/10mm-clear-toughened-shower-screen-wetroom-panel-glass are stylish, high-quality, and wont break the bank. Making effective use of space will require you to produce exact measurements. To accurately plan where your bathroom furniture will go, compose a sketch detailing the size and shape of your bathroom. Include the location of electrical wiring, windows and doors, and waste pipes. If you are unsure about how to create a successful bathroom layout, seek the advice of an expert. Ask a professional installer to look at your bathroom and impart advice on which items would be best to purchase in relation to durability, practicality and the available space. By conducting research and seeking professional advice, you will acquire the information needed to bring your dream bathroom to fruition.